We originally created the HS-3™ to be a warmer bridge-position companion to the HS-2™. 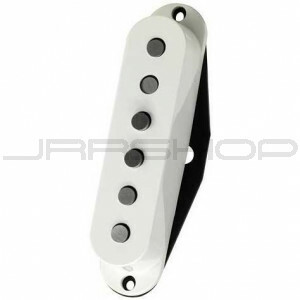 Yngwie Malmsteen adopted it for his standard neck and bridge pickup, and almost overnight the HS-3™ acquired the reputation of being a high-powered metal pickup. This isn’t really the case - the HS-3™ is actually a smooth and relatively quiet pickup that produces a sweet overdrive tone without jagged edges. What Yngwie discovered is that these qualities combine perfectly with a heavily distorted amp, because the sound won’t get muddy or messy. The HS 3™ is also versatile - it’s a noise-free pickup in a live situation or in the studio.